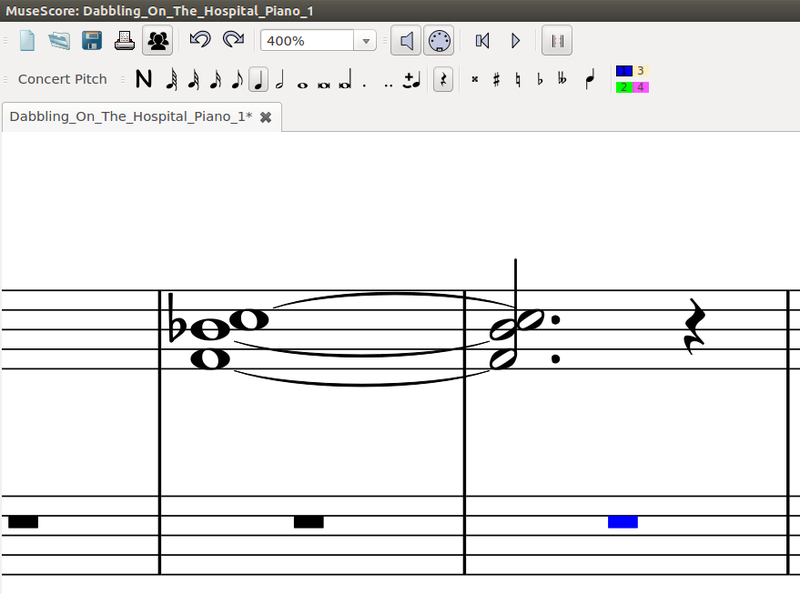 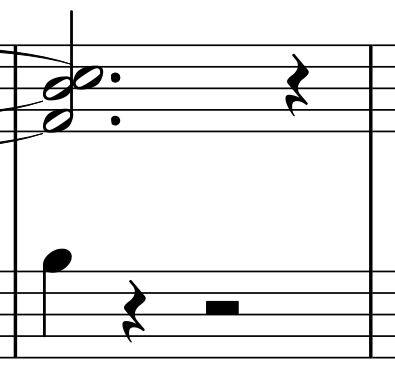 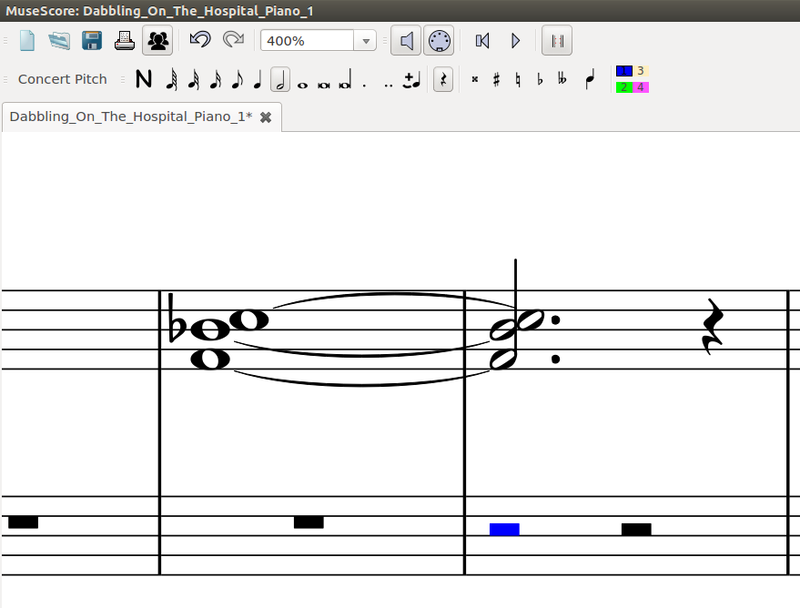 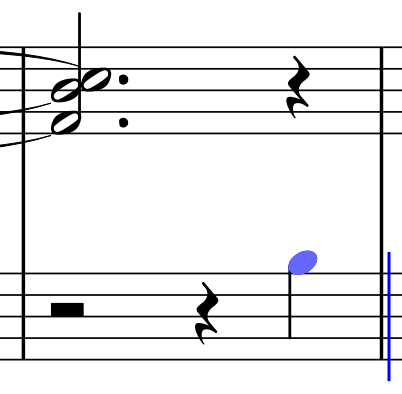 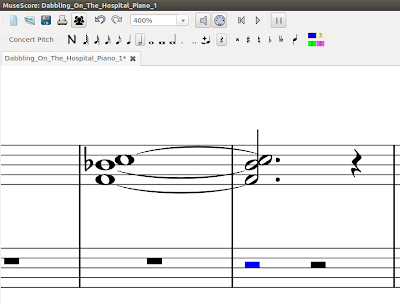 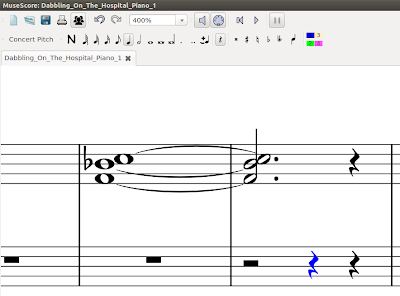 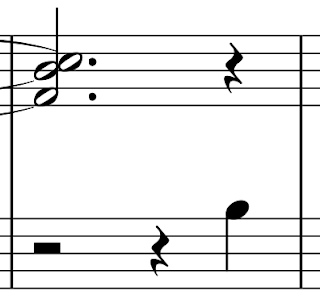 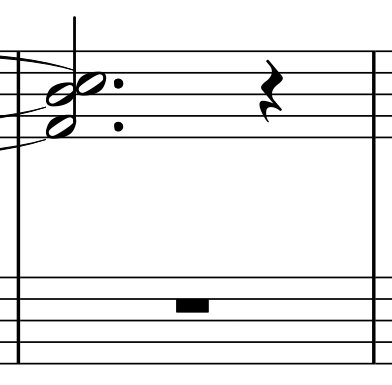 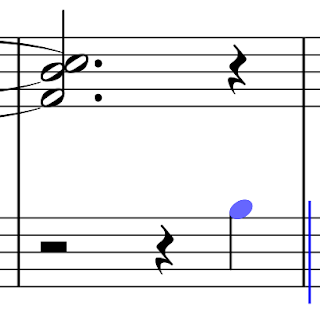 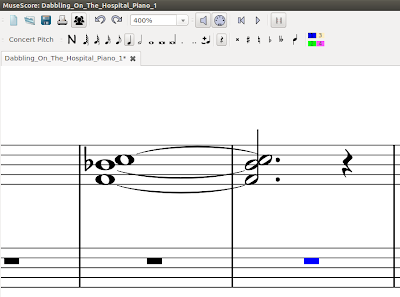 An "empty" bass clef in MuseScore has one thing in it: a whole rest. What we need is a half rest, followed by a quarter rest, followed by a quarter note. 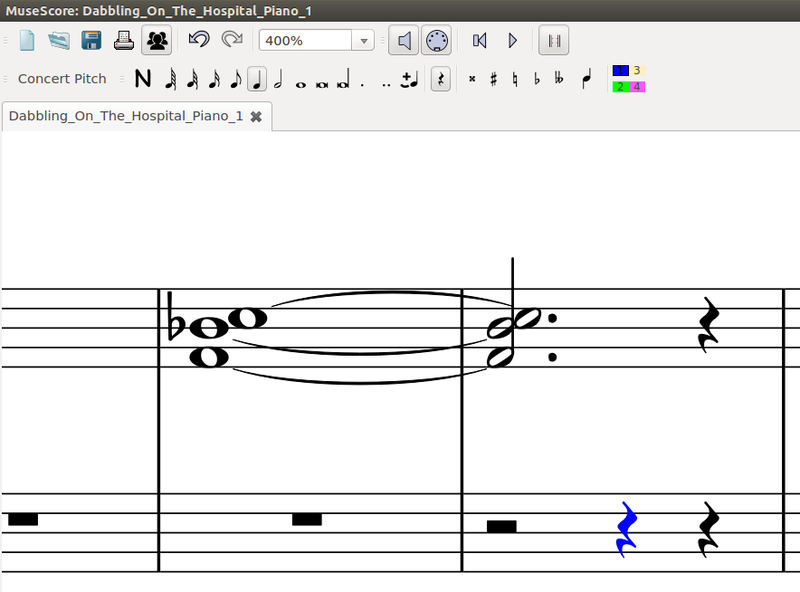 then ctrl+down-arrow to bring the B down an octave.